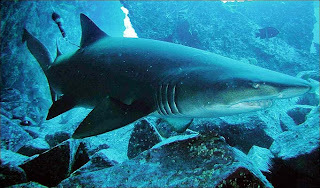 Animal Wildlife | Nurse Shark | The nurse shark is most commonly found in the waters around central America, although natural habitat of the nurse shark ranges from the North USA to Brazil and nurse sharks are even found on the East Coast of Africa. The nurse shark is also found around the Caribbean Islands and from southern California to Peru on the American west coast. 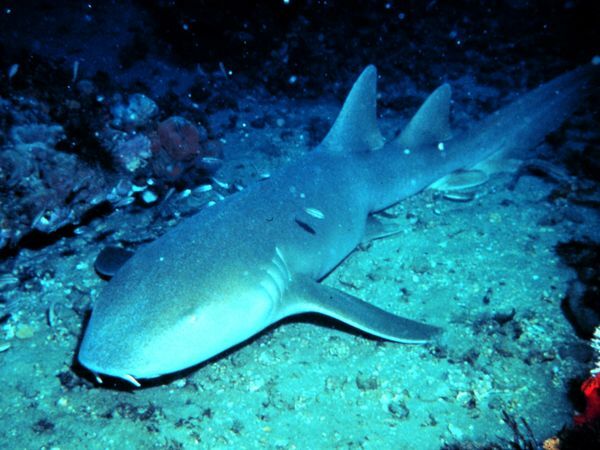 The nurse shark is a common coastal bottom-dwelling shark, found in tropical and subtropical waters around the continental shelves. The nurse shark is frequently found at depths of one meter or less but it is not uncommon for nurse sharks to venture down to depths of 12 m.
Nurse sharks commonly habitat reefs, channels between mangrove islands and sand flats, where food is in abundance. The nurse shark preys on fish, shrimp, sea urchins, the occasional octopus and stingrays, and as with many other species of shark, the fast reactions and stealthy approach of the nurse shark mean that the nurse shark is easily able to have a meal. 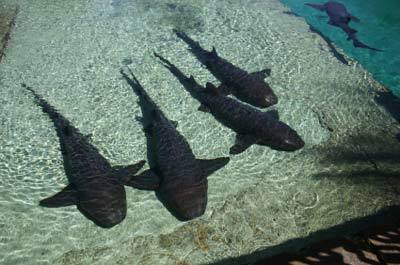 Nurse sharks are nocturnal animals and are generally inactive during the day. It is in these hours of daylight that nurse sharks can be found together in groups of up to 40 nurse shark individuals. 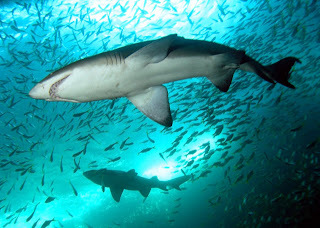 Despite this, the nurse shark is a solitary hunter and will spend the dark nights hunting alone. 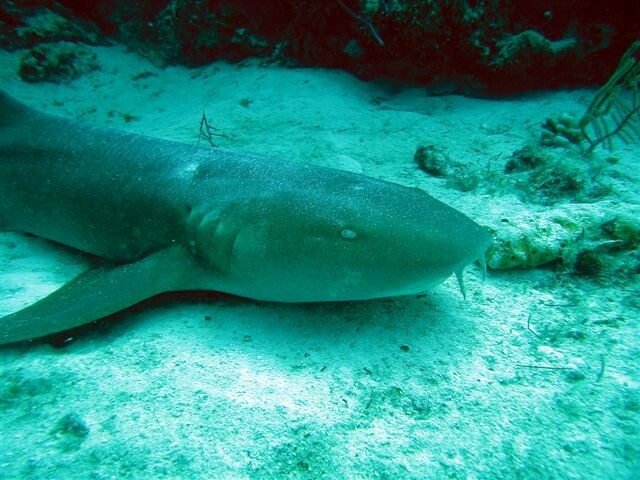 Nurse sharks appear to have resting spots that they return to daily rather than just resting anywhere. These preferred resting spots of the nurse shark tend to be in crevices in rocks and reefs. The nurse shark mating season is in early summer. Female nurse sharks will retain their eggs inside them until they hatch and are fully developed, before a live birth then occurs. The nurse shark gestation period is approximately 6 months, when the female nurse shark will give birth to between 28 and 25 nurse sharks babies, known as pups. Nurse sharks are generally known to be one of the more sluggish and docile sharks of the different species of shark. It is because of this that nurse sharks have been hunted for their tough, leathery skin and for their meat. Nurse sharks do not appear to pose any great threat to humans although a number of unprovoked attacks have been recorded. Nurse sharks tend to live to around 25 years of age by which time the nurse shark is often over 4 m in length. When the baby nurse sharks are born, they tend to be around 30 cm long and are already fully developed. The darker skin of the baby nurse sharks tends to fade quickly as they age. 0 Response to "Nurse Shark"